Lots of lace, elegant sleeves, illusion necklines, and as always Pettibone's signature stunning back details are found in this homage to the decadence of 18th century France...ooh la la! 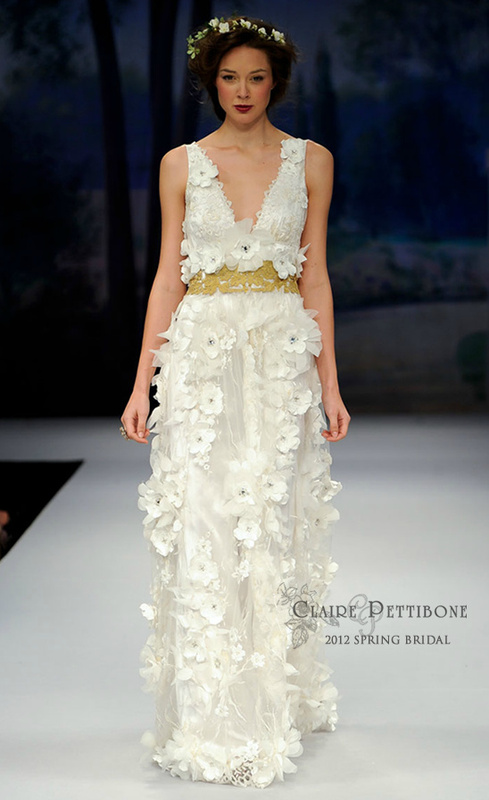 Claire Pettibone 2012 Spring Bridal has all that embodies Parisian luxury. Antique gold, French toile and tapestries inspire the textures and details in her latest collection. So very French country. The use of French toile is an unexpected and charming addition to the designer's repertoire. Giving it that shabby chic vintage flair that we know you are such a fan of. See the entire collection by clicking here.